Just guess who has been out flying again in Southern California? You guessed it! None other than Harrison Ford, the 74-year-old actor, who only two years ago avoided a serious plane crash incident on a Los Angeles golf course in 2015, but now this time he mistakenly landed on the Taxiway instead of the selected Runway at Orange County’s John Wayne Airport. Thankfully, nobody died or got hurt. There were scenes of amazement all around, almost as if it happened on the set of some Hollywood action movie, starring Harrison Ford’s stuntman, who descends over and nearly crash lands on top of a commercial airliner at Orange County’s John Wayne Airport, touching down just passed the 1546 American Airlines Flight to Dallas, Texas, with his own little “Husky” plane. 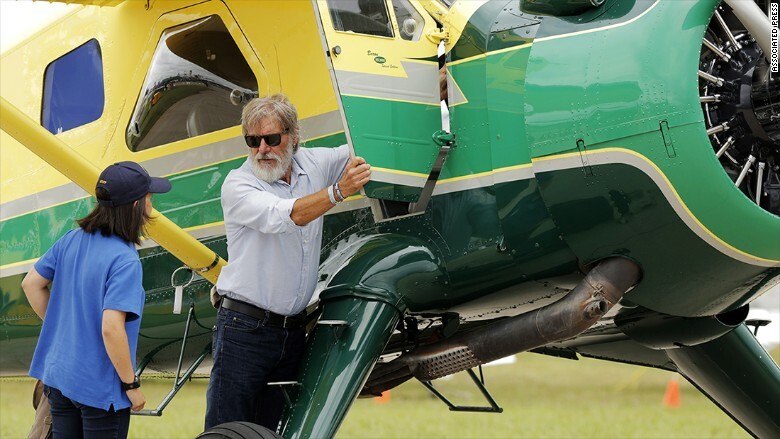 Another little airplane from Harrison Ford’s collection, no doubt? The American Airlines Flight to Dallas later took off and probably none of the passengers really knew that Harrison Ford had just flown over them by the tiniest of margins. Amazing stroke of fluke that nobody got hurt or was Indiana Jones on course for a safe landing, all along? Harrison had landed on the Taxiway and not the Runway, which is a breach of FAA regulations. Ford who is an experienced pilot with over 50 years of experience, narrowly missed death in his last airplane incident in March of 2015 on the Penmar Golf Course, and add to that a previous Helicopter crash landing in 1999, with him and his instructor, also miraculously escaping serious injury from the impact 18 years ago. 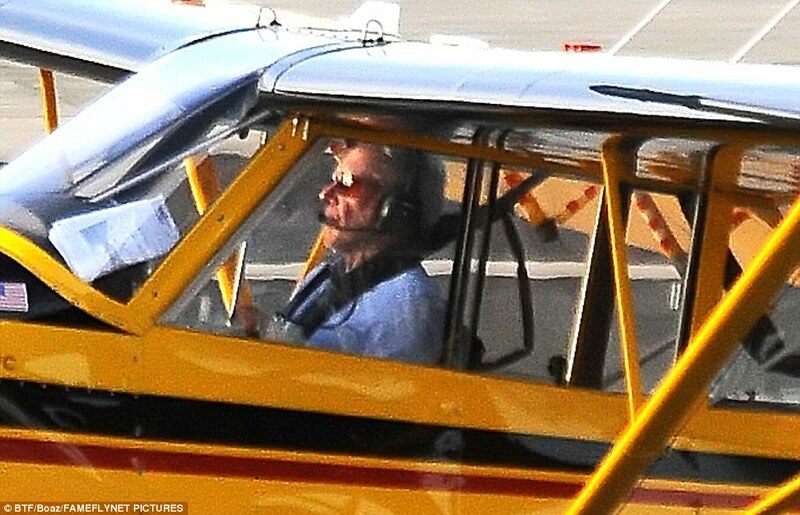 So, does Harrison Ford have a death wish of some kind up in the breezy skies? What if he would have crash-landed into that 737 commercial airliner with the 110 passengers aboard, just sitting out on the runway? 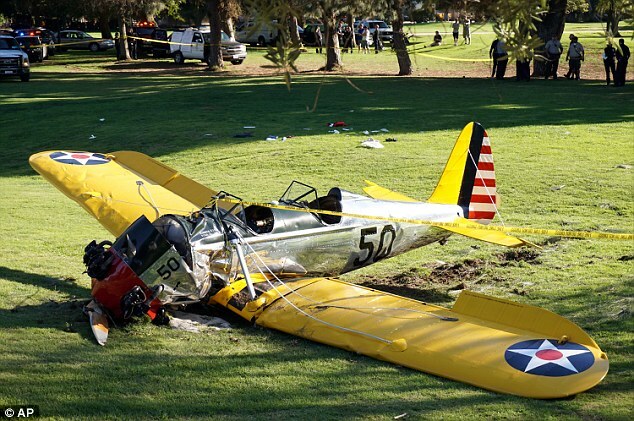 Imagine that, but luckily that didn’t happen and now the FAA will be investigating and seeing whether a simple fine will do it and or to completely revoke Harrison Ford’s pilot license, altogether. Harrison Ford who collects small vintage planes, as he proved by breaking his own bones in his World War II PT-22 trainer plane by crash landing it onto the Penmar Golf Course, shortly after taking off from Santa Monica Airport. Perhaps, it’s time that Harrison Ford hung up his pilot license for the general safety of anyone in his flight vicinity and especially if these stories are anything to go by? The first responders on the scene in 2015 found him badly bruised up and yet his agency UTA, said at the time, “He had no other choice but to make an emergency landing, which he did safely. He was banged up [but] is expected to make a full recovery”. It remains to be seen what will be said about this more recent incident, pending any further investigations from the FAA. Harrison Bird may have taken his last flight. Thank god that he and everyone else are safe, after that runway mix-up! Buy the Indiana Jones Collection on Blu-Ray here.